Growing up, I ALWAYS wanted to be a teacher. Seriously. Going back to my farthest memories (around 3 or 4,) I wanted to teach and be in the classroom. And that was about the extent of my knowledge on the subject. Starting in late elementary school, I surrounded myself with kiddos, and loved "helping" them, however I could. In high school, at the age of 16, I became licensed and certified as a Florida preschool teacher. I also began nannying 4-5 days a week when I was only 14 years old. Crazy. I would go straight to their house after school, greet them after school, make a snack, help them through homework, drive them (once I had my license!) to pop warner cheerleading or basketball, or appointments, and made sure they were showered and got some time playing outside. And that was the next 7 years of my life. And I miss them so much. THEN, I startd college, and I got to go into elementary classrooms to observe and help. My vision of my classroom changed. I was suddenly aware of the need for a schedule. The need for direction. By the time I was in my internships, I knew I was going to have to fight to have my creative, warm and inviting, book loving classroom. And then, I graduated, and suddenly the crashing education job market made me keenly aware that I didn't care what kind of job I got, I just wanted a job. 5 months later, I finally had a "job," but something wasn't right. The school maybe wasn't a great fit. Or maybe it was the area. Whatever it was, it was just not right. And then I lost my job. Stupid "economic " crisis. And then I got a long term subbing job, and suddenly, I realized how easy it would be for some people to burn out in teaching. And it has slowly dawned on me that maybe I did not want to actually work in the public school classroom. To homeschool someone else's kids for them. To be able to design my own curriculum implement strategies, and to have a small class size. I'd love to do that with my own kids, but we know that THAT won't be happening in the Galloway household for awhile. 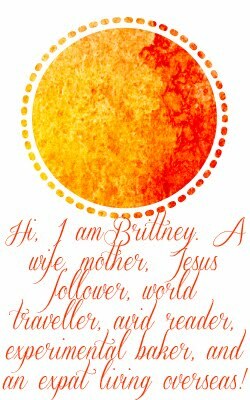 Were you homeschooled Brittany? Juat curious. I was homeschooled, and I loved it! I would highly recommend considering it for your own kids. I know there are homeschool co-ops out there too, where you can join a group of other homeschooled moms and teach one or two extra classes to homeschoolers - but I know that with homeschooling the parent has to do the majority of the teaching (unless your teaching degree changes that - I guess you'd have to check with your states laws on the subject). Anyway, just a side note from a homeschool graduate! Hi! i just found your blog through Southern Bride! I just started my masters in teaching here in Boston and I have so many questions/worries about the future! I look forward to reading more posts from you about teaching - i appreciate your honesty about it! Britt, I hire you now if you were serious about homeschooling someone else's kids!! I want my kids the heck out of the public schools and although we're accepted at a private school- we have to qualify for a scholarship in order to afford it and still eat!! We'd hire you in a New York minute, but if you make my kids wear orange and blue- I'd freak out! However, my kids bleed garnet and gold and would give you a hard time about your team color choices- which would be very entertaining to see! Love from the Vargas Clan!